Kicking off March 16 at the Sofitel Hotel in Melbourne, Tesla Motors is embarking on a 3000-kilometer (1864 mile) promotional tour along Australia’s eastern coast. The “Oz Goes Electric” tour is being held in conjunction with local government agencies to increase electric vehicle awareness in the country. Officials from the Victorian provincial government and Department of Transportation were present at the event, with the tour being part of the local government’s electric vehicle trial. The tour will cover Victoria, New South Wales and Queensland, and feature test drive events and public displays of the Tesla Roadster along the route. 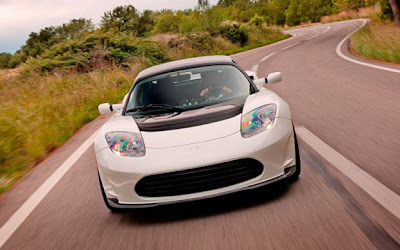 The Tesla Roadster also holds the record for distance driven on a single charge in a production electric vehicle, which was broken driving 501 kilometers (310.6 miles) in Australia. You can follow the tour here.